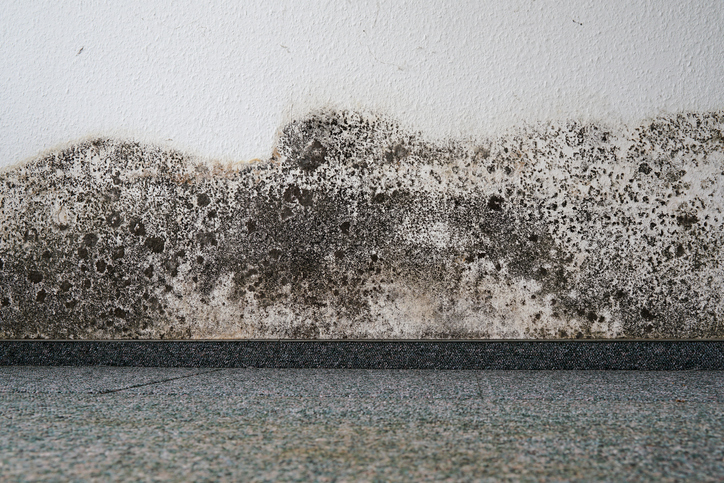 It�s Ten O�Clock: Do You Know Where Your Household Mould Is Hiding? In the natural world, mould has its own important role to play as it breaks down organic matter and releases still useful compounds back into the environment for re-use. In medicine and food preparation, as well, mould can serve a purpose. For example, did you know that mould is an essential component for making the world’s most famous antibiotic—penicillin? If you like eating cheese, you will also be interested to know that mould is used to make some types of cheese, especially soft Brie and blue cheeses. These types of mould are not only safe to breathe, but also to eat! But the kind of mould used to treat illness or make tasty cheeses is not the same kind that likes to colonize out of the way areas in your home and make you and your family sick. These types of mould are very toxic, indeed, yet since they often conceal themselves out of sight in low traffic household areas, you may get quite sick before you even suspect mould is the cause. In this article, learn the most common household hiding places for toxic mould, how to spot it, and what to do to get rid of it! You probably know what mould smells like (dank, grassy, stale). You also likely know what it looks like (when your fresh produce caves in on one side from an exterior overgrowth of white, powdery stuff). You may even know how to spot the respiratory symptoms of minor toxic mould exposure (throat clearing, coughing, cold-like symptoms). But what exactly is mould? Mould at its core is a type of fungi. It belongs to the fungi family, which also includes yeast, mushrooms, and of course mildew. There are not just hundreds but literally thousands of different types of moulds. Moulds reproduce with spores, single-celled organisms packed with DNA that can make more mould wherever conditions are deemed suitable. Spores are very light and aerodynamic, and they can remain airborne for hundreds, even thousands of miles until they find just the right spot to settle. Once landed, spores need moisture and nutrition to divide and replicate themselves. Some spores need only a little moisture and some, a lot. Mould’s favorite food comes from cellulose (organic plant-based matter). Cellulose is pretty much everywhere in the typical home. Wallpaper, carpet, fabrics, paint, adhesives, paper products, drywall, anything wooden or cardboard, fresh produce and even household dust contains cellulose. In other words, wherever the combination of moisture and cellulose co-exist is where mould tends to be. So now that you have a basic working knowledge of what mould is, how it replicates, and what it likes to eat, it is time to go mould hunting! For this, you will need some ideas of where mould especially likes to hide out. Sometimes, mould will develop a colony right out in plain sight, although perhaps in an area you seldom visit, such as a garage or basement. But at other times, mould colonies will grow in places you wouldn’t think to look or can’t even see without prying up furnishings and disturbing the structure of your house. For this reason, it is important to continue searching for mould if health symptoms or home odours indicate it may be there, even though at first you don’t see any signs of colony growth. Basement. Under foundation or wall cracks, in corners where moisture may collect, on musty or damp stored items, in areas that have previously flooded. Attic. On sheathing, under or around A/C condensation pans, anywhere there is a leak or drip, on musty or damp stored items. Crawl spaces. Anywhere moisture accumulates, especially if there is dirt flooring, a poorly graded slope, a cracked foundation, or a high water table that can cause continuous water seepage. Garage and uninsulated outdoor sheds. In corners, under roofing, on musty or damp stored items. Bathroom. Floor-to-ceiling mould is possible in bathrooms, which are typically the dampest room in any house. Cracked tiles and compromised grout or mortar can also help mould gain access to the interior of the home, including the wood and drywall. Kitchen. Under sinks, under/behind stoves or refrigerators, under/behind dishwashers, inside or behind microwaves. Laundry room. Inside of/behind/underneath washer/dryer units, inside dryer vents, behind or under sinks, under floorboards or carpeting. Air ducts, exhaust vents, and air registers. Mould gravitates toward these dark, moist, cellulose-rich enclosed areas. Ultimately, what you really need to know is how to get rid of mould inside your home. Here, your most potent weapons are low humidity, dry conditions, regular cleaning, reduced clutter, ultraviolet light, and air ventilation/circulation. Professionally clean out any remaining mould from your air ducts and dryer vents. Install a whole home UV air purifier to neutralize remaining airborne mould. Install a heat recovery ventilator to help control indoor humidity levels. Make use of humidifiers/dehumidifiers seasonally. Right now, save 20 percent on whole home air quality equipment like HEPA filters, UV purifiers, humidifiers, and heat recovery ventilators with our Breathe Clean Air event! Or give us a call at 905-544-2470 to learn about the many services and products we provide to help maintain your indoor air purity and freshness.